Bed & Breakfast "Den Engel"
Belgium through Limburg to - at last - the famous port of Rotterdam near the Dutch coast in the North Sea. The province of Limburg offers the visitor from north to south a broad variety of landscapes. And in the middle of this province You will find the community of Roggel and Neer. Twin villages with together at about 8300 inhabitants. A pretty area that’s called The Garden of Limburg. In the village Neer You will find our Bed & Breakfast “Den Engel”. 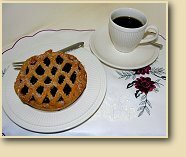 Limburg is the birthplace of the so called vlaai, a sweet pie that will be offered with coffee or tea in a wide variety of tastes. And of course the country of many local beer brands. Together the symbols of hospitality and joviality. 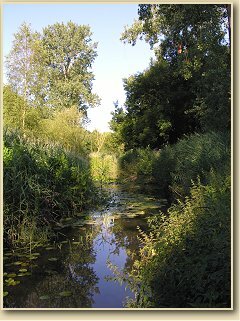 Yes, the village Neer still has with brewery “De Lindeboom” (the Lime tree) its own producer where they make in the craft way a local draught in several tastes. These golden surprises You can drink of course in the local pubs. In old books You can find that the history of Neer goes back to the beginning of the 11th. Century. The remains of old churches and houses were found by building the younger parts of the village. Neer still has a quiet village square surrounded by church, restaurants, pubs and shops. Like many cities in Holland Neer suffered in the past centuries by the wars between the army’s of north and south. These wars and later battles were the main reason that only a few old buildings were left. Within the authentic character of the village Neer fits our guesthouse “Den Engel” without any doubt. The history of the old house where we have our B & B is going back –as far as we know – to at least the beginning of the 19th. Century. History however tells that the house in due course was used for several purposes. One was a protected house for nuns. At this very moment You understand where the name “Den Engel” (The Angel) of our guesthouse comes from. 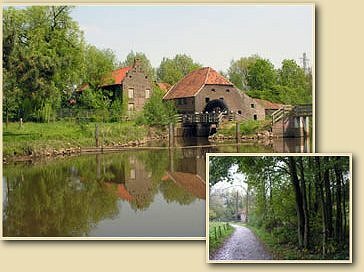 Bed & Breakfast “Den Engel” offers You a beautiful starting point for a more day trip along picturesque brooks like Zelster and Leu. Close they flow together through valleys and woods. An area with a great variety of flora and fauna. Both brooks end at last in the river Maas.This middle part of the province Limburg invites You to discover it by foot or bike. We also do have maps – while You follow the instructions of the Kloosterhof- or Ursula-route – that bring You to the most beautiful spots in this area. Sterrenboschroute and Naturepath lead You to the middle of the shady Leu-valley. Of course we will help You to plan Your trips through an authentic territory with a lot of surprises like the brewery transport of fresh beer pulled by horses. Time seems to stop here. The quietness makes You forget the noisy and rushy world of every day. And do You like water sports? No problem. 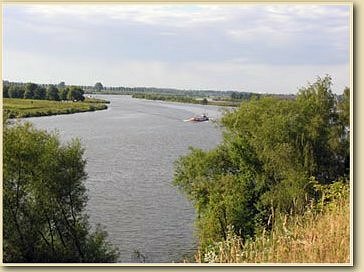 The friendly river Maas gives You all opportunities for fun: motor boating, sailing, waterskiing, fishing etc. Marinas in Neer and other places nearby will support You of the materials You need.